Lynne White and the other moms on the sidelines at prom couldn’t help but tear up as they watched their kids enjoy themselves. Prom is a normal part of teen life, but for Lynne it was anything but. 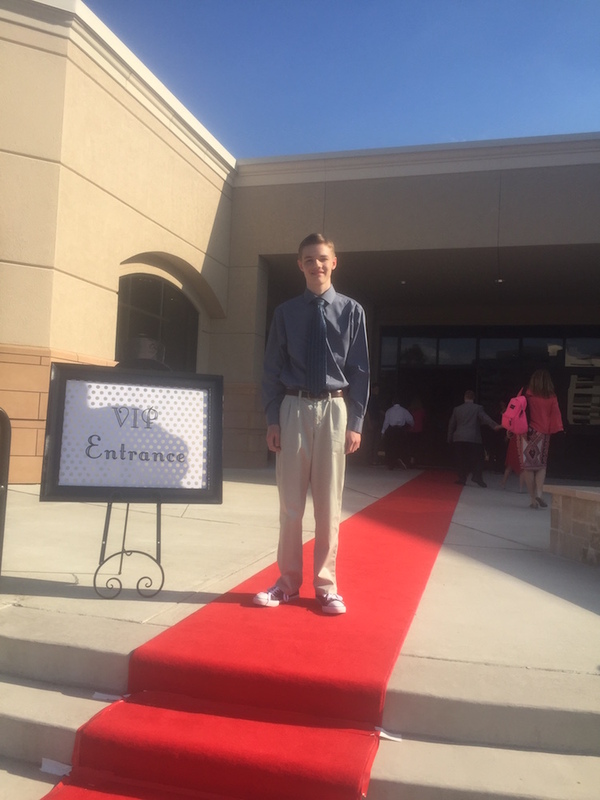 Her youngest child, Peyton, 16, is autistic, and she spends every fiber of her being making sure that he—as well as others like him—can live extraordinary, meaningful lives. Sometimes, like on prom night, that just means allowing him to be a typical teenager. Peyton on prom night. Photo courtesy of Lynne White. Ever since her son’s birth, Lynne has known that something was different about Peyton. But she’s not the kind of woman to dwell on the how or the why; she’s a person who says, “OK, now what?” and then proceeds to move Forward, capital F. She tells her son: “Peyton, you don’t have autism. You have awesomism” (which helps to explain the name of her blog and social media efforts). She strongly believes in learning outside of the box, and that is how she came to homeschool her four kids over 20 years—and how she found Flipboard, via her husband, Mark Simpson, an early fan who’s also closely involved with his son’s education. 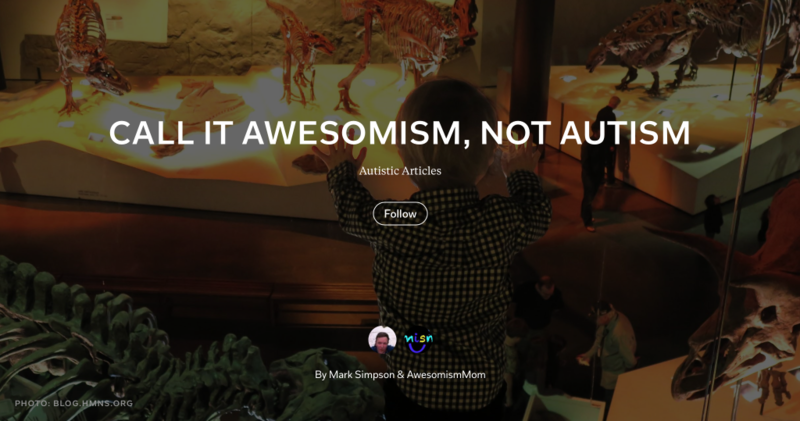 Lynne, a former grassroots specialist, quickly helped us see how Flipboard could be an important tool for autistic kids. She underscores that each person with autism is unique by citing a quote used by many in the autism community: “if you’ve met one child with autism, you’ve met one child with autism.” Naturally, this is the story of what’s worked for her family and her vision for the future. For one, she says Flipboard is calming to someone like Peyton. Not only is the act of flipping pages itself soothing, but the actual content can be, too. For example, her son is really into aquariums; the motion of the fish is relaxing to him. 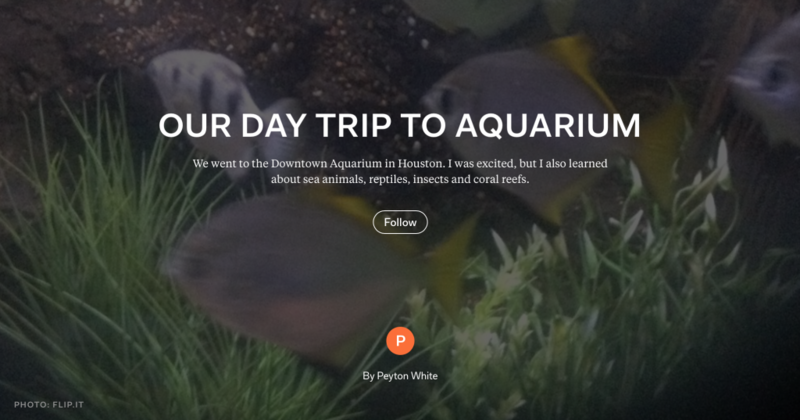 Flipboard allows Peyton to enjoy stories, photos and videos about aquariums and save them into a magazine. 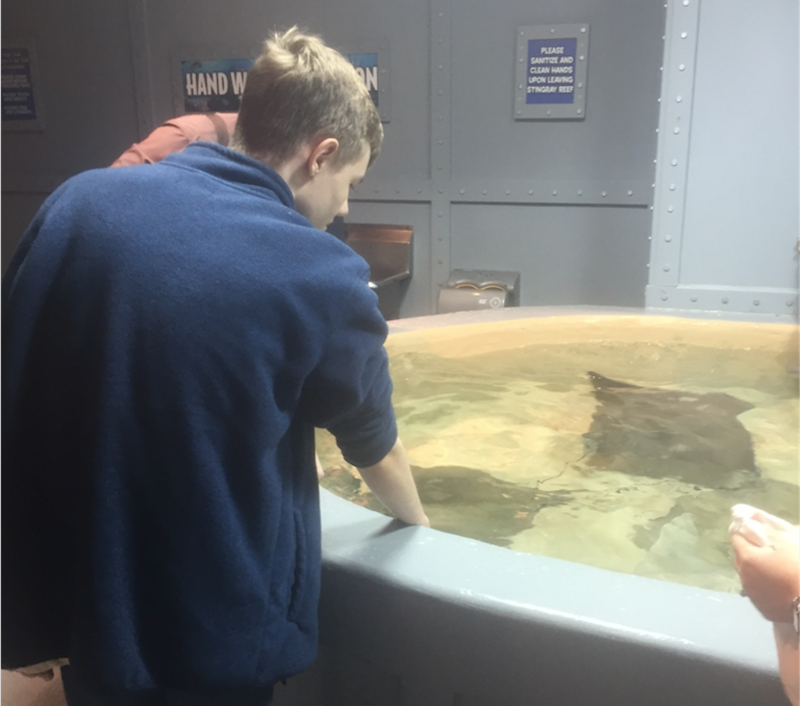 His interest even got the attention of the Houston Aquarium, who invited him to be their special guest for a day. Of course he made a magazine about that, too. Crucially, Flipboard puts the pace of learning in Peyton’s control. He absorbs content in his own time and revisits the magazine as often as he likes. His mom says he’s a more confident writer than speaker, so the magazine gives him a venue for expressing himself in terms he’s comfortable with. He’s started blogging because of it, and his family loves to see what draws his interest through his writing and curation. Peyton at the aquarium. Photo courtesy of Lynne White. “To him, it’s like he feels like he’s making a difference, that he matters and he counts, and he’s putting his opinion out there,” she shares. It’s helped to expand Peyton’s vocabulary and break the “chicken and egg” cycle of him not wanting to interact because he doesn’t have the right words, thus withdrawing even further. “I love using Flipboard because it lets me make magazines about stuff I love, and then I learn more,” says Peyton. As Peyton finds his voice, Lynne sees Flipboard as connective tissue between the comfort zone of home and the wider world. “Travel is very difficult for most autism families,” she notes, describing scenarios where Flipboard can make those transitions a lot easier. For example, a magazine can help children know what to expect before going on a family trip: it could have articles about the destination, photos of the hotel, and videos showcasing local people and customs. It could even preview what it’s like to fly on an airplane. Lynne and Peyton. Photo courtesy of Lynne White. Looking further into her son’s future, Lynne imagines a world where Flipboard Magazines could help bring down the high unemployment rate among young people with autism. A magazine could teach a skill in very clear and visual terms and could be studied until the task is nailed. “It teaches them in a way that no other medium out there can do right now,” she impresses. Lynne is so passionate about her mission you feel it through the phone. She truly believes that Flipboard Magazines can be a vehicle for peace and tolerance, not only by helping special needs people live better lives but also by showing the world that people like Peyton have a voice that matters.